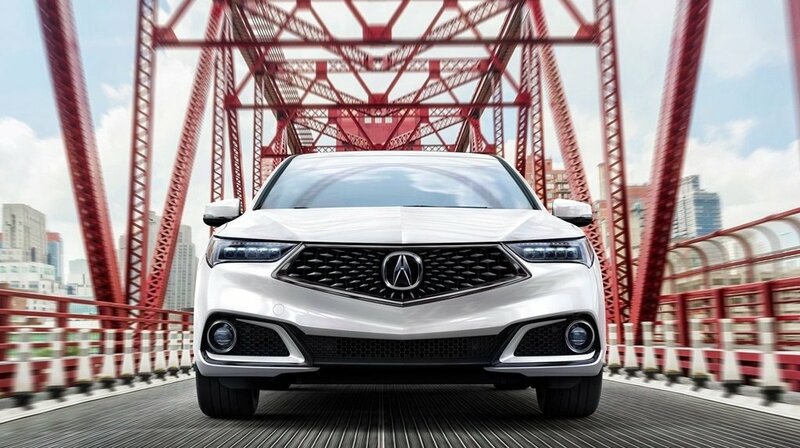 The 2018 Acura TLX performance has been carefully engineered for people who love the excitement of driving. If your favorite way to spend the weekend is zooming around the roads of Hartford, this car provides thrills to spare. But what is perhaps most exciting is that it has a base MSRP of just $33,000*, making it accessible to many more car-buyers. If you get excited about what you learn, head to Acura of Avon for a hair-raising test drive. The standard powertrain puts out 206 hp and 182 lb-ft of torque while still getting an impressive 23 mpg city and 33 mpg highway. ** The light weight of the engine helps to enhance the nimble feeling of the the car. The precision all-wheel steer system creates one of the most agile front-wheel drive vehicles ever put into production. This technology is exclusive to Acura. Super handling all-wheel drive distributes power to the wheels that need it to further enhance handling and to help the vehicle maintain traction when driving in slick conditions. This car is available with either an eight-speed dual-clutch transmission with sequential SportShift paddle shifters or a nine-speed automatic transmission. Plus, drivers can select between four unique driving modes on the fly – Normal, Economy, Sport, and Sport+. Each one of these modes tunes the engine and suspension to deliver exactly the kind of driving experience the situation requires. Rather than forcing the driver to accommodate the limits of the vehicle, the 2018 Acura TLX performance does just the opposite. Performance is not the only category where this car excels. It also bests the competition and comes with a number of advanced safety features as well as advanced technologies and package upgrades. We encourage you to check out our extensive inventory in the West Hartford area and rely on our financing team for easy approval. If you have questions, please contact Acura of Avon.